In accordance with UNDP and GEF M&E policies and procedures, all full and medium-sized UNDP support GEF financed projects are required to undergo a terminal evaluation upon completion of implementation. These terms of reference (TOR) sets out the expectations for a Terminal Evaluation (TE) of the project title “Enhancing Resilience of Liberia Montserrado County Vulnerable Coastal Areas to Climate Change Risks”. (PIMS #5550). Project name : Enhancing Resilience of Liberia Montserrado County Vulnerable Coastal Areas to Climate Change Risks”. (PIMS #5550). Proposals should be submitted at the following address: by email to [email protected] (Please include procurement notice number in the subject area) and the position you are applying for (International Consultant to conduct Terminal Evaluation ) should be clearly stated in your Proposal. All bids should the no later than Thursday 14th March 2019 at 12:00 PM (GMT). Any request for clarification must be sent by standard electronic communication to the address or e-mail indicated below: [email protected]. 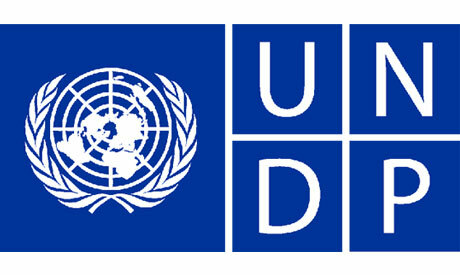 UNDP will respond by standard electronic mail and will send written copies of the response, including an explanation of the query without identifying the source of inquiry, to all consultants.